Nakano is a typical small neighborhood in Tokyo which is located just west of Shinjuku. It really is not just a small neighborhood but it is one of the 23 special wards of Tokyo and has 300.000 inhabitants. However the interesting area is quite limited (as far as I know, please write me if you have any other info). The "interesting" area is that around Nakano station, easily explorable on foot. As well as walking around and maybe stopping to eat, the only major local attraction is the Nakano Broadway. The Nakano Broadway is a huge multi-storey shopping mall, in which as many as two floors are full of shops for otaku . Inside you can find really everything about anime, manga and videogames. 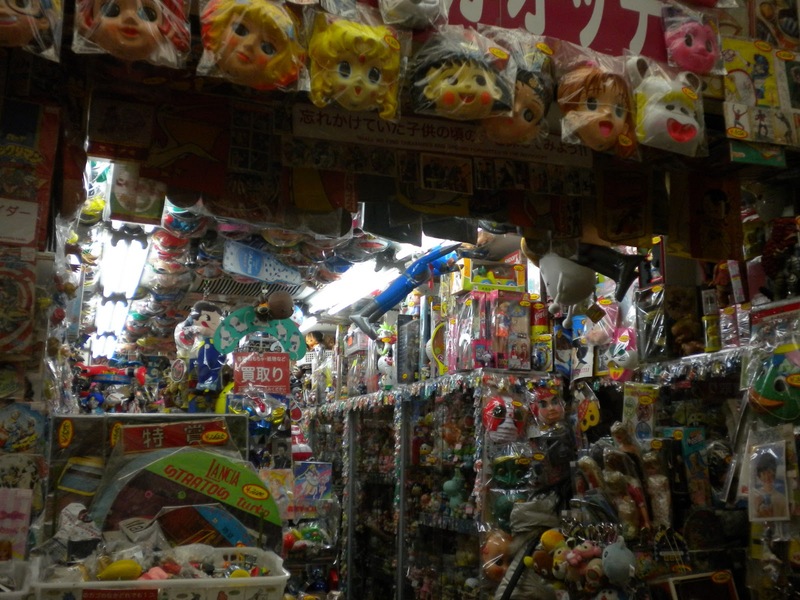 One of the shops is the largest site of Mandarake (famous chain of stores for otaku) in Tokyo. Tip: since it is covered, you can opt for the Nakano Broadway in a rainy day. Going out from the station is clearly visible a large building, the only hotel I've seen in the area, the Nakano Sunplaza. It is a 3-stars hotel, I don't know how much it can cost. Being very close to Shinjuku, Nakano is almost like to stay in Shinjuku so it's a good position, but there isn't a notable nightlife. For fans of anime/manga/etc the Nakano Broadway is a true paradise on earth. However Akihabara is the same or probably better, so if you have little time go to Akihabara and forget Nakano. It is very close to Shinjuku so you can easily visit it in less than two hours, but I think that stores like those must be visited calmly watching all the windows, a quick walk (for a fan) doesn't have much sense. Visit both Akihabara and Nakano only if you have a lot of time. There are some station in Tokyo called like "Nakano-otherword" (ex. Shin-Nakano), but the right station for the Nakano Broadway is the one simply called "Nakano". You quickly arrive from Shinjuku taking the JR Chuo-line. Nakano is the first stop, less than 5 minutes. When you arrive, for the Nakano Broadway follow the "north exit".